Create robust data systems to diagnose specific teacher shortages problems. Communicate with institutions that supply teachers about specific and urgent needs to better align on supply and demand of teacher candidates. Consider other research-backed policies mentioned in our report to attract and retain teachers in high-demand subjects and geographies. 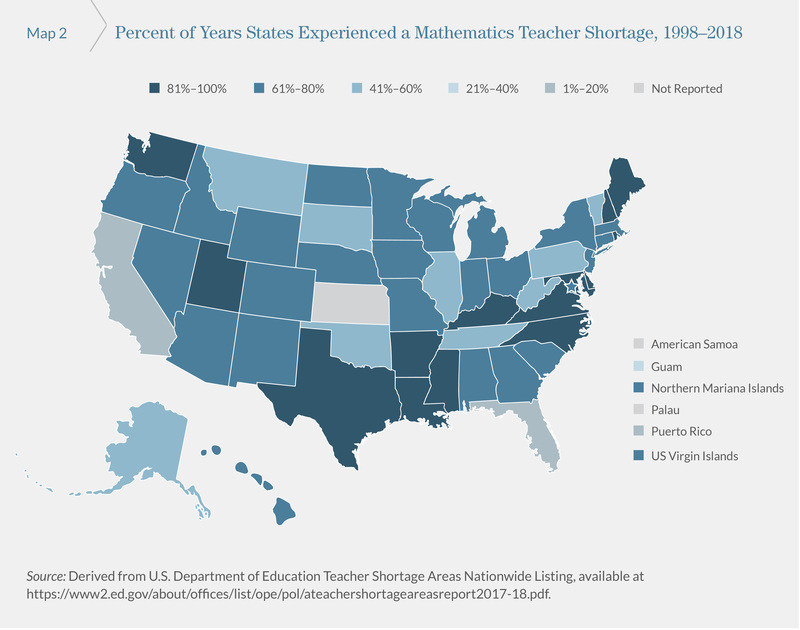 To better understand what types of subject-area teacher shortages your state experiences and how often those shortages are experienced, check out our report!